Have you ever received a suspicious email about your Office 365 account? It might seem legitimate, even with a Microsoft logo, but if you look close at the links or the email address it came from, it’s not from your company. Office 365 credentials are a hot commodity these days. You need look no further than the typical inbox to see the truth of that — many users are facing nonstop onslaught of phishing messages attempting to trick them into revealing their credentials so that they can be used to distribute malware and even more phishing emails. Fortunately with Office 365, your mailbox sits behind Exchange Online Protection, which is automatically enabled on all Office 365 tenants. This filter is continuously refined by Microsoft to capture as much malicious incoming email as possible. But sometimes, a suspicious email gets through. Here’s one I got recently about getting added to a new Team. The concept of a username and password for providing access to resources is inherently flawed. We’ve done it this way for decades, mainly because generally no better solution existed for the mainstream. Anyone with knowledge of the password can exploit it, often from anywhere. Smart cards and token fobs required infrastructure; however, that was beyond the reach of most small or medium sized companies. By contrast, a device is a lot more secure than a password, because it can be physically protected. A key to a door has to be physically taken from your pocket, whereas a keycode could be lifted off a post-it note. That’s the advantage of multifactor authentication or MFA for short – combining a passcode with proven access to a secured physical device such as your smart phone. 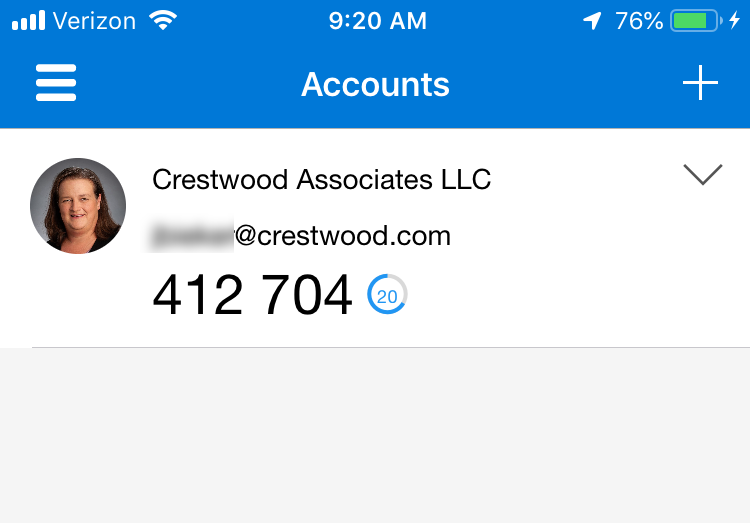 We recommend the authenticator app as it is the most secure and most convenient. You can turn MFA on for all users or a select group, but we definitely recommend enabling it for any accounts that have administrative access to resources. To make MFA less intrusive, you can white list IP address ranges, so trusted locations such as offices with dedicated IPs don’t require users to complete a MFA challenge. You also have the ability of changing the amount of time before another two factor challenge is required from a given location to up to 60 days. A great feature of the Office 365 stack is Advanced Threat Protection. This provides an additional layer of protection and user configurable policy to mitigate threats via email, malicious URLs and collaboration tools. These tools can be configured by your administrator or partner in the Office 365 Security Center. 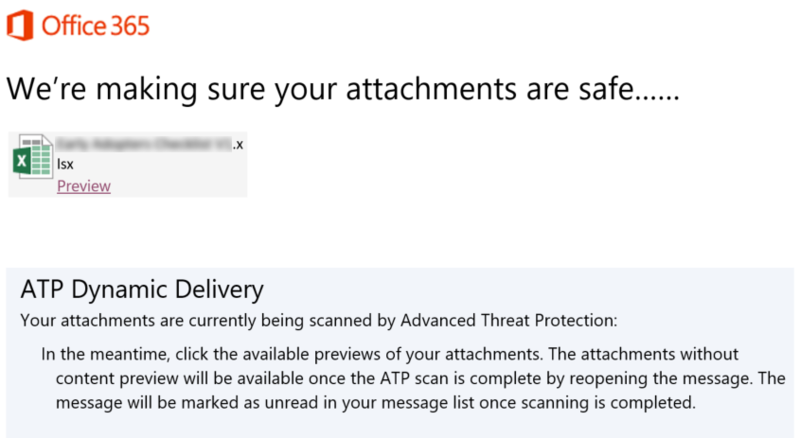 ATP Safe Attachments: Going beyond virus scanning, the safe attachments policy redirects all incoming file attachments to a virtualized sandbox environment within Office 365, where it is subject to heuristic analysis and machine learning to identify suspicious behavior. ATP Safe Links: This tool wraps all links in email messages, redirecting them to the Office 365 scanning engine which provides time of click verification of URLs. This is particularly valuable since just because a URL is safe today, doesn’t mean it couldn’t be compromised by an attack tomorrow. Time of click scanning provides extra security for this scenario. ATP Anti-phishing: Have you ever received an email from someone supposedly within your organization, asking for last-minute gift cards or checks? 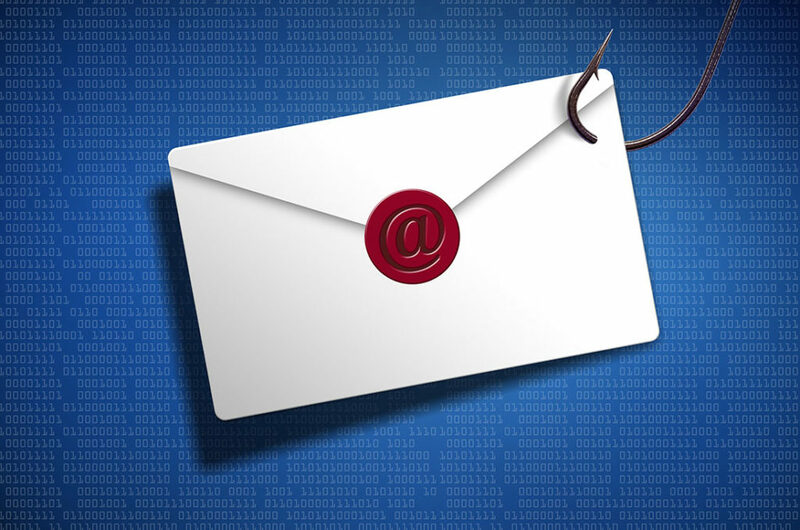 This type of attack, called the spear phishing attack, is becoming increasingly popular. Anti-phishing policies evaluate emails that could be attempting to impersonate a staffer and commit fraud. 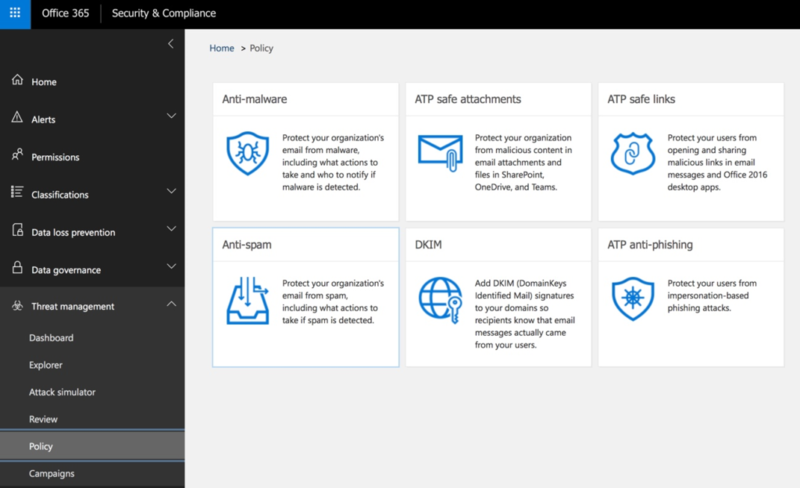 Advanced Threat Protection is included with Microsoft 365 plans and can be added to many Office 365 plans as an add-on feature. Taking the device idea a bit further, why type your confidential, valuable password into your device when you could use a simple PIN code specific to that specific device instead, and have it be more secure than a password? 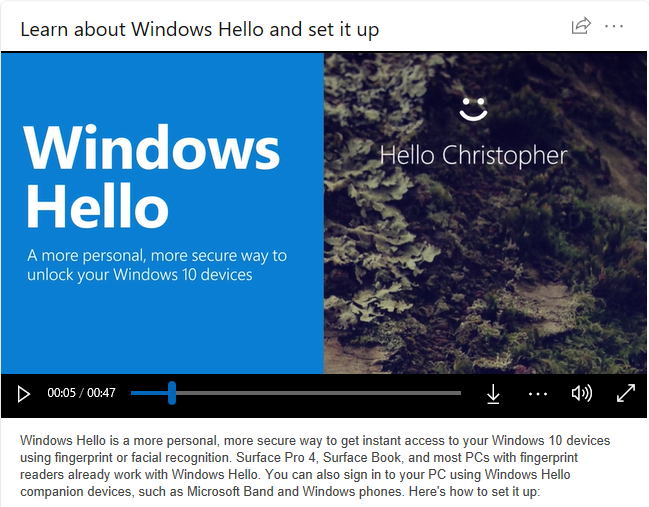 Windows Hello is a new authentication framework which allows you to log into a machine with a PIN code, facial recognition, or fingerprint that is unique to that machine, replacing a password with a strong two factor authentication process. This is part of Microsoft’s movement away from passwords and towards “password-less” security, reduces or eliminates the user’s exposure to, and need for their own password. To enable this type of device authentication, you enroll the device in Azure AD, which also provides tools to manage Internet connected (but not necessarily corporate network connected) devices down the road. We are here to help keep your business secure. 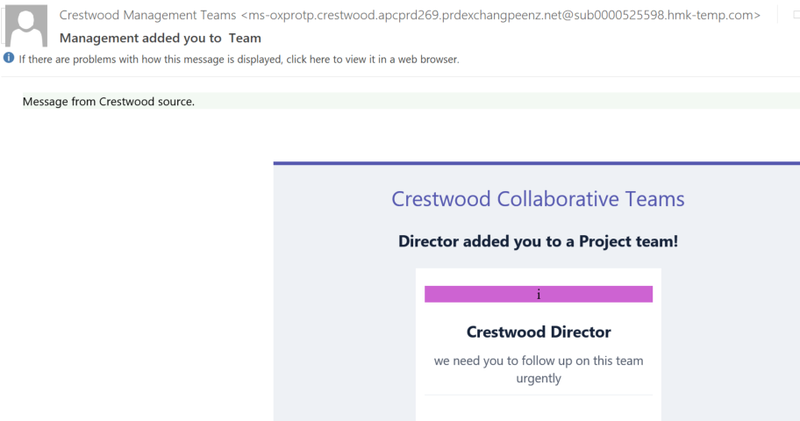 Click here to associate Crestwood with your Office 365 tenant and receive a free Security Score, updates on new apps and features, and more! 10 Reasons Why It May Be Time to Upgrade from QuickBooksDynamics GP and Forms Printer – it slices & it dices!